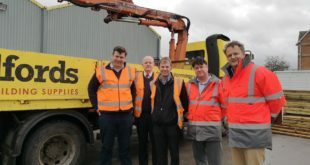 Snows Timber has completed a management buyout from previous owner the Bradfords Group led by managing director, Ian Church. The buy out team comprises Church, supply chain director Craig Willoughby and finance director Adam Cray. 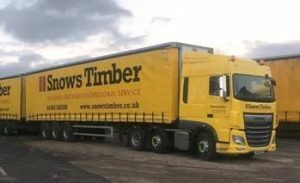 Snows is a national importer, processor and distributor of timber & timber products through its Andover and Mansfield Distribution Centres. The National Sales Office in Towcester remains and now becomes the new Snows Head Office located at Pond Barn, Pury Hill Business Park, Towcester, Northamptonshire, NN12 7LS. The Glastonbury Head Office and Distribution Centre was sold to Sydenham’s in February 2019. As part of the sale agreement, Snows cannot trade in the counties of Devon, Cornwall and Somerset for a period of 12 months, starting on 1st March 2019. 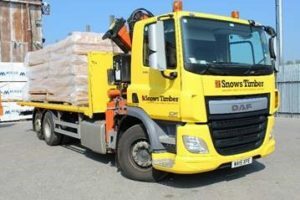 The Bradfords Group first acquired Snow Timber Ltd in 1985. 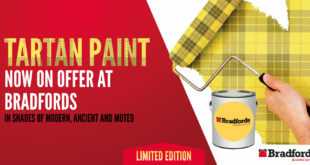 However, following a strategic review of its businesses, the Bradfords Group decided to focus on its core business, Bradfords Building Supplies, as managing director David Young explained: “I’d like to wish all Snows Timber employees every success for the future.